Strong Construction and Portable Design. Made of heavy duty aluminum alloy shell, the light body is strong and sturdy enough for durability. Rough surface design and handy wrist strap make it easy to grip and carry. Spot Dried Pet Urine Stain. You can use this UV flashlight to spot dried urine stain of dogs, cats or other pets on carpet, rugs, clothes or food stains on table or floor, etc. 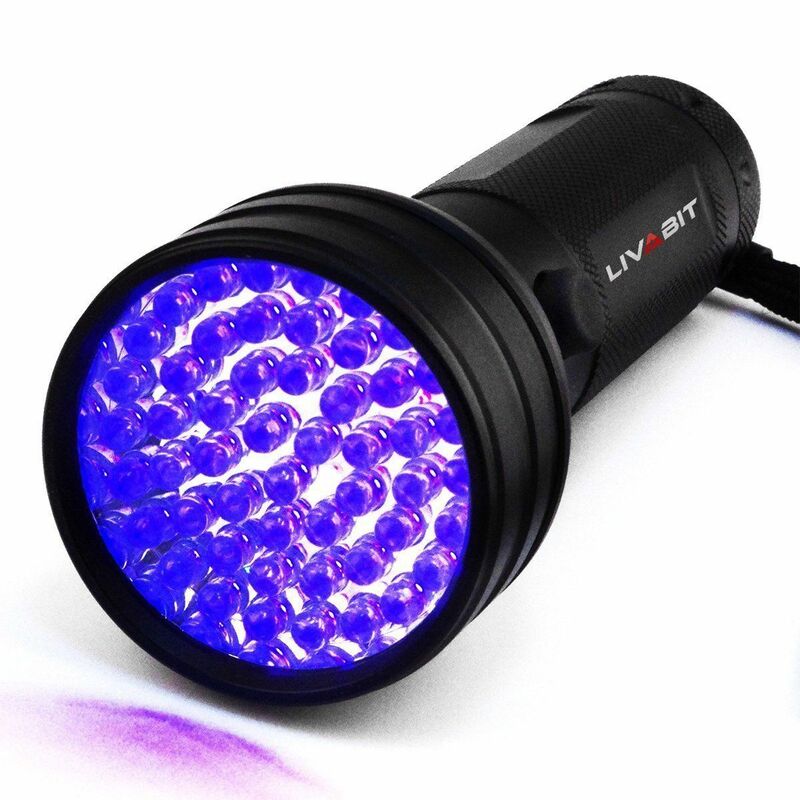 LIVABIT UV LED flash light has many purpose for its use. Identify Authenticity You can use the UV light to identify the authenticity of currency note, amber, bead, or some important documents such as ID card, driver license, passport. Make Clean-up Easier and More Efficient UV light makes invisible stains such as dried pets urine stain, human body fluid visible. It is perfect or home or hotel cleaning. Detect Scorpions You can easily hunt scorpions at night as the UV light can make scorpions fluoresce.